Our abrasive micro-finishing films are particularly effective for precision superfinishing and are available as sheets, various diameter discs, rolls, belts and ribbons or custom formats / sizes per your application. 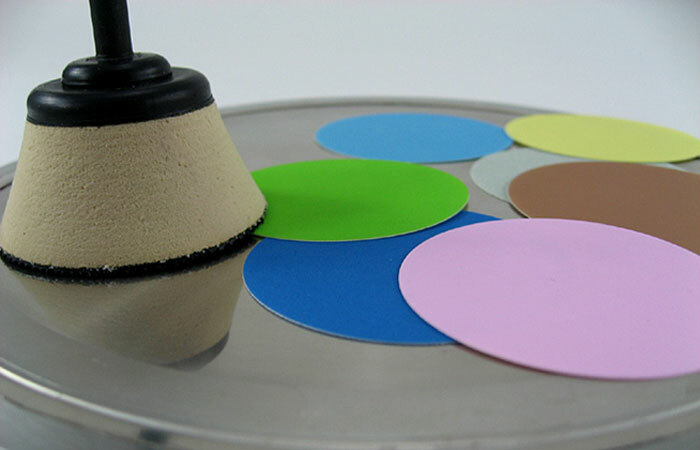 Choose from diamond, aluminum oxide or silicon carbide abrasive coatings with particle sizes typically ranging from 6 micron down to the submicron level. Typical applications include the fine grinding / polishing of high value items such as optical fibers and semiconductor device cross sections as well as the micro-finishing of precision mechanical parts.